This suite has air conditioning, satellite TV and a minibar.Room Facilities: Garden view, City view, TV, Telephone, Satellite channels, Cable channels, Flat-screen TV, Safe, Air conditioning, Desk, Sitting area, Heating, Carpeted, Soundproof, Hardwood/Parquet floors, Mosquito net, Shower, Bathtub, Hairdryer, Free toiletries, Toilet, Bathroom, Slippers, Additional bathroom, Minibar, Wake-up service. Offers air conditioning, LCD TV, safe, air conditioning, heating. This family room features a minibar, cable TV, air conditioning, safe, air conditioning, desk, heating. This suite has air conditioning, satellite TV and a minibar, garden view, city view, TV, telephone. This Room has garden view, city view, TV, telephone, satellite channels, cable channels, flat-screen TV. 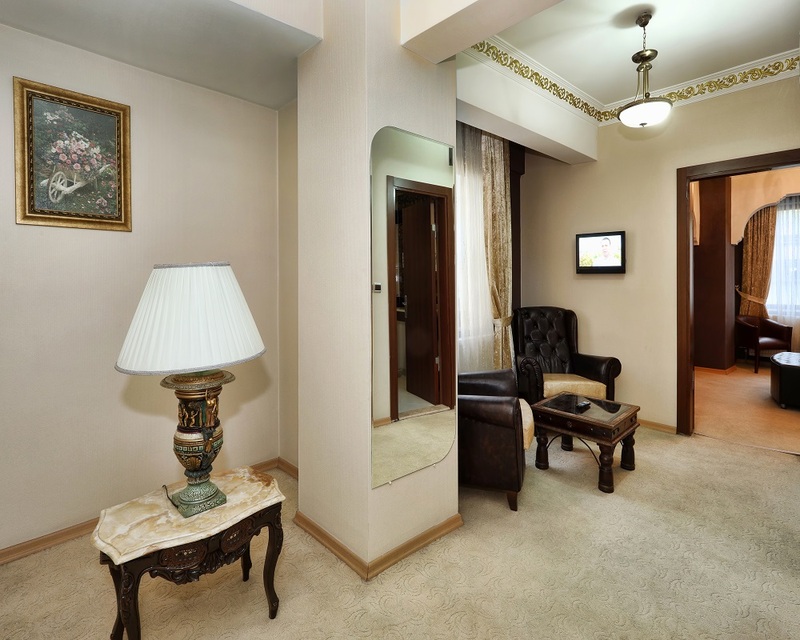 This double room features a cable TV, air conditioning, a minibar, safe, air conditioning, desk, heating..